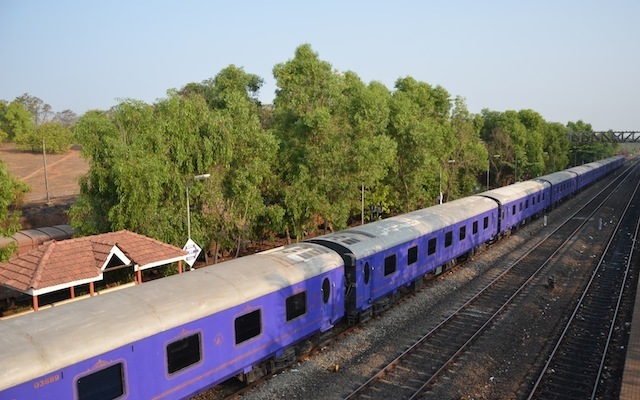 Connoisseurs of luxury travel around the world are well-versed with the name of Deccan Odyssey, a joint venture of Maharashtra State Tourism and Development Corporation (MTDC) and the Indian Railways. Only few people know that Deccan Odyssey succeeds the famous Palace on Wheels in the list of Indian luxury trains. Lets dig deep to trace the roots of this deluxe train to its very origin. The concept of this luxury tourist train was designed by MTDC following which an MOU (Memorandum of Understanding) was signed between Indian Railways and the state tourism board in February 2001. Thus began the construction work on the train. Creators of Palace on Wheels, Integral Factory Coach (ICF) were given the task to formulate the design of Deccan Odyssey Train which took almost five months. The construction work that began in May 2002 got completed in the later part of 2003 along with the trial run of the train. When Deccan Odyssey was first unveiled in front of its operators (MTDC), the royal blue exteriors of the train were truly eye-catching and signaling the par excellence experience that was only few weeks ahead from the passengers. Finally on 16th January, 2004, Deccan Odyssey embarked on its maiden voyage from Chattrapati Shivaji Terminus in Mumbai. The responsibility of arranging food and beverage facility was given to the famous Taj Group of Hotels. Over the years, Deccan Odyssey has undergone several changes in terms of name, destinations and prices but still holding on its purpose of presenting the rich cultural heritage of Maharashtra.